PSPgo Getting An App Store? The App Store is probably the single best thing about the iPhone. All those useful things collected in one spot where they're easily accessible? Handy. Might Sony, then, be looking to open an App Store of their own? "Sources close to game development" have told Destructoid that Sony will be unveiling just that at this year's Games Con in Germany. This new element to the PSPgo shopfront will feature "smaller, 'non-retail' games and applications", which will be priced at roughly $2-$6 and must come in at under 100MB. Such a move wouldn't surprise me, and wouldn't surprise you either. 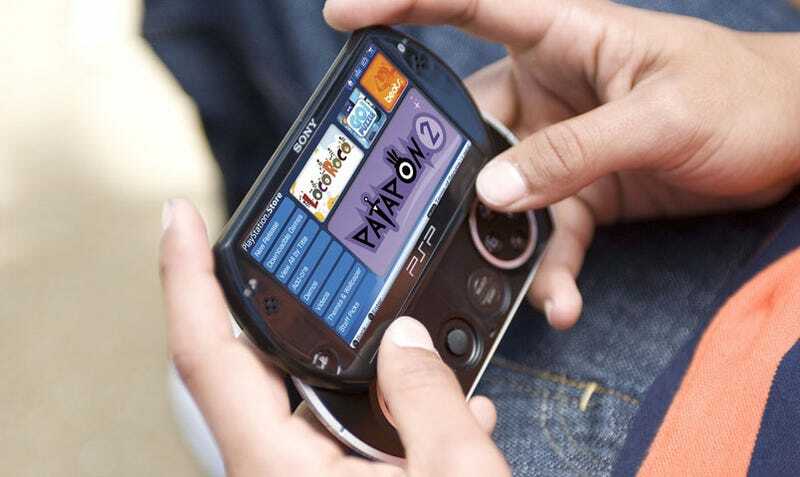 The PSPgo would easily support smaller digital titles, while Sony have long been dabbling with non-gaming applications for the handheld, releasing everything from PSP translators to street maps.